SINCE THIS IS THE FINAL WEEKEND OF THE BEST OF PLAYGROUND FESTIVAL, we wanted to publish one more interview with a Festival playwright to console those of you who cannot get enough PlayGround. Evelyn Jean Pine has been in the Writers Pool since 2003, although at one point, she too was just starting out, like Arisa White, the first Festival playwright we interviewed. And like Daniel Heath, our second Festival playwright, her playwriting career began when she entered the Pool. Since then, she has won PlayGround’s June Anne Baker prize for a distinguished female writer and has been named a PlayGround Emerging Playwright five times. PlayGround commissioned her to write two plays, Astonishment, about the invention of movies and their impact on the imagination, and The Secrets of the World about Queen Isabella. Currently, she teaches Performance Studies at San Francisco State. Evy wrote See. On. Unseen. The. Lost. for the Monday Night PlayGround devoted to a quote from Eugene O’Neill, ("Like a saint's vision of beatitude. Like the veil of things as they seem drawn back by an unseen hand. For a second you see—and seeing the secret, are the secret. For a second there is meaning! Then the hand lets the veil fall and you are alone, lost in the fog again, and you stumble on toward nowhere, for no good reason! " — Eugene O’Neill, Long Day’s Journey Into Night), although Jack Kerouac figures largely in her play. In our interview, she explains why, and she also reveals how her play takes revenge on Samuel Beckett’s Waiting for Godot. In the Festival production, David Cramer and Jomar Tagatac act, and Raelle Myrick-Hodges of Brava! for Women in the Arts directs. Nope. I'm from Worthington, Ohio, north of Columbus. How long have you been with PlayGround? My first season was 2003-2004. What is it like being a female playwright in a male-dominated field? Being a playwright is fantastic. I think I would have become a playwright sooner if I'd read more female playwrights when I was growing up. The only women playwrights whose work was in the Worthington Public Library back then was Lillian Hellman, Claire Booth Luce, etc. I wrote a lot of plays in high school and college, but I never took them seriously. I submitted a ten-minute play to PlayGround in 2003. I became part of the pool, and, after Brady Lea and Martha Soukup stopped laughing, they showed me the ropes. To have my plays brilliantly performed in every continent in the world every night of every week. All of them. Today: Adrienne Kennedy, Maria Irene Fornes, all the June Anne Baker winners, and, of course, all the PlayGround Playwrights Pool past and present. And in honor of Buster Posey, the Organic Theatre Company members who wrote Bleacher Bums. Does your teaching have an impact on your playwriting, or vice versa? My rule for teaching is I don't teach anything that isn't useful/inspiring for my playwriting. Tell no one. What inspired you to write See. On. Unseen. The. Lost.? I have a dear friend Abbie Lehrman who has worked with very poor people, people who have nowhere to live, for years. She said in all her years of doing this work only once did a person on the street say to her: "This is a lifestyle choice." She replied: "If it's a lifestyle choice, kid, what's your other option?" You did what could be called a very literal translation of the topic, including the actual words from the Eugene O’Neill quote in your play. Why do you have the character mistakenly attribute the words to Jack Kerouac? I read the quote from Eugene O'Neill that was the prompt and I thought: "Sounds like Kerouac to me." Maybe it was the word "beatitude," because Kerouac loved that one so much, but also the idea that we all have flashes where we see the truth -- and then the curtain falls and we stagger away -- kind of like the theatre. Why did you write the roles without specifying their gender or ethnicity? I wanted to say, "baise toi," (I hope my French is correct) to Samuel Beckett for refusing to let women play Vladimir and Estragon in Godot. I'm a proud member of the Dramatists Guild, but, jeez, you write a momentous work, Sammy-boy, let people at it. What do you hope people will take away from See.? I hope they have a crazy, intense experience that transforms their lives. Was it similar or different to your usual writing process? Yep. Write. Rewrite, rewrite, rewrite, rewrite, rewrite. Ad infinitum. Alas, I am not one of these, "Start the play at 1:15 on Tuesday and submit it at 2:00," playwrights, like many in the PlayGround Pool. Write. Go see a bunch of plays. Write. See plays. Write. Write. Write. A retelling of the myth of Uranus and Gaia for the SF Olympians Festival. The staged reading is October 13 at the Exit. The remarkable Molly Noble directs. Woman's Will in San Francisco is doing one of my short plays that was initially developed for PlayGround, Counting the Minutes on June 3 and 4 at 8:00, Phoenix Theatre. Part of the Playfest 2011 Benefit. See ya there. THE SECOND PLAYWRIGHT in our series of interviews for the 15th Best of PlayGround Festival is Daniel Heath, who, unlike Arisa White, the first playwright we interviewed, is a longtime PlayGround member. Daniel’s play This Is My Body, from the December 2010 Monday Night PlayGround, was directed by SF Playhouse Producing Director, Susi Damilano, for the Festival, and features Michael Phillis and Rinabeth Apostol. This is not the first time Susi has directed Daniel’s work. In fact, she directed the world premiere of his play, Seven Days, as part of the SF Playhouse’s Sandbox series last fall. Seven Days was Daniel’s second PlayGround commission. 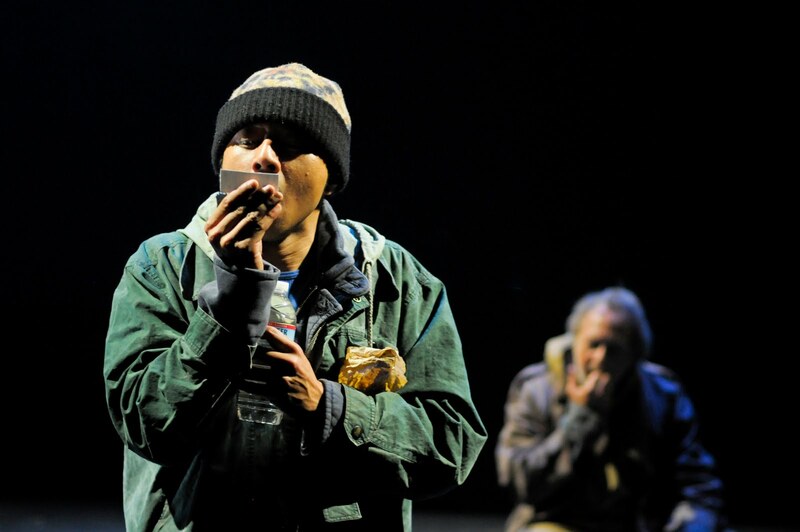 His first dramatic full-length play, Fifty Years Hungry, was completed in 2009 as part of the PlayGround Fellowship. His full-length comedy Forking was produced by Pianofight Productions in San Francisco and Los Angeles in 2009, and his short plays have been performed in San Francisco, Toronto, and upstate New York. His new musical, The Man of Rock, premiered at Climate Theater in December--around the same time that This Is My Body was written. I grew up in the humid, bug-infested flats of the Midwest. I moved out here in '95. San Francisco, a few blocks from Thick House. I've got a small technology consulting business (Giant Rabbit, http://www.giantrabbit.com) that does on-site IT support and web and database development for non-profit organizations (mostly but not exclusively in the Bay Area). Also, I'm a bit of a cocktail enthusiast. Was PlayGround the first time you wrote a play? What was the first play you ever wrote? My application play for the PlayGround writers pool. It was not good. How long have you been in PlayGround? What was the first play you wrote for PlayGround? Six seasons now. That's thirty-six plays, for people keeping score at home (I write every month). Add in the two application plays I wrote (for my first and second seasons), and we're at thirty-eight. TROY: I'm okay. Just waiting for the gods to finish me off. DIDO: You've got something on your face. It goes downhill from there. No one has ever read that play except for the selection committee six years ago. This Is My Body feels like a coming-of-age story everyone has experienced. Is it based on a personal experience? Nope. I almost never write about personal experiences. I did spend a bunch of time in empty churches when I was a kid (Dad was/is a minister), but they were Protestant, so, no wine; that's where the setting came from, but the characters and situation are made up. What inspired This Is My Body? The topic, Alchemy, got me thinking about mystical transformations, which naturally got me thinking about transubstantiation, and that naturally led me to write about two kids breaking into a church and drinking communion wine. Don't ask me where these ideas come from. Actually, I would love to know because it would be a lot easier if I could go there on purpose. Do you have a Catholic background? Nope. Relatively-lefty Protestant upbringing, which means they didn't really get into the more hard-core stuff (like transubstantiation). When I was a grad student at UC Berkeley, though, I did a bunch of reading about transubstantiation and the Eucharist from around the Reformation, and it was pretty fascinating stuff (what happens if the consecrated host gets dropped, and the crumbs get eaten by a mouse?) --wonderfully literal and Gothic. Did you do any research while writing the play? Yep. Does communion wine come in screw-top bottles? Yes it does. Do yo u have any brothers, mean, dumb or otherwise? My younger brother Jake is an ICU nurse. He was pretty dumb when he was a little kid, but once he developed object permanency things started to come together for him. He can be mean in his professional capacity as person-who-keeps-people-alive, but, in his words, "Everyone gets the nice Jake first." So if you take your meds and eat your food and don't try to bite any of the nursing staff, I understand he's generally a pretty good guy to have taking care of you. Did you ever steal your mom's credit card? Nope. There were 3500 people in my town and my dad was a minister. I could not get away with much. What was the writing process like for This Is My Body? The usual. Churn through a half-dozen bad ideas, finally late at night on Monday get a decent idea, write some notes, come up with a structure, then just plunge into it and write until it's done, which was some time in the small hours. Next day, read it over, fix it up, send it off. What do you hope people will take away from seeing This Is My Body? A sense that something important has happened, and we're not sure what. I think Rinabeth and Michael do a wonderful job of bringing us with them on this journey that they don't understand, but where so much is at stake. Were you surprised when This Is My Body was picked for the Festival? Why do you think it was chosen? As I understand it, the PlayGround selection process involves a group of Dutch wood beetles known for their intra-species aggression. Each beetle has the title of a play engraved on its carapace, then they are set into an antique hat box which serves as an arena. As the beetles fight, dead beetles are removed and those plays are taken out of consideration. When six (or, in the case of the Festival, seven) beetles remain alive, they are carefully removed, etherized for posterity, and arranged on pins in the Hall of Champions. Those plays are then included in the Festival. I've just discovered that my blender makes terrific crushed ice, so I see a lot of crushed-ice cocktails, especially with some of these high-proof rums I've been having a lot of fun working with lately. Also, I'll be learning how to sit still and fight through the theatrical illusion while unbelievably awful things appear to happen to my girlfriend, who will be playing Lavinia in Titus Andronicus. I don't know if those two activities will help or hinder one another. My first PlayGround commission from '09 (Fifty Years Hungry) is the last of my full-length plays that has yet to be produced; I've been working on a final version of that after a couple of readings last fall. I'm also working on polishing up Man of Rock for another run somewhere someday. Then... something new. I'd like to keep writing plays and keep getting better at it, and I'd like those plays to continue to be produced. As long as those two things are happening, I'm a happy playwright. Which writers or playwrights inspire you? When I started out in the pool, the writers who had been in the pool for a while and were farther along than me and having success beyond PlayGround were very inspiring--and still are some of my favorite writers around. On a cruel and glacial Monday morning after receiving [Some Cool Prize], a thirty-something playwright (we'll call her A) is feeling inexplicably down as she contemplates the meaning, the fear, the QUESTION. What now? 1) bang out a few full-length play pitches that would someday blossom into thought provoking and wildly successful full-length plays, rocketing her into euphoria and infamy! 2) procrastinate until the fear generated by not banging out a few full-length play pitches gnaws away at her conscience and personal dignity, leaving her a broken shell of a woman. 3) do something totally stupid and potentially embarrassing that could possibly be just the little pick-me-up she's jonesing for. ...Ding, ding, ding! Sad, but true. She is hooked on the junk. Now, our strict liability clause restricts me from divulging her connection, but I can say this--you can find anything on the internet. I'm a little low, if you know what I mean, and I have a proposition for you. If you're down with it, maybe you and I could tag-team--a daily play-writing blog. Here's how it might go. We decide on two characters, a circumstance, a locale, etc. and we each write one line a day, playing off of what the other has written. In the end, we might both be totally satisfied, or we might have a hot mess on our hands. ----------------------------------------------------------------------------------------------------------------------------------Moments later, in the bowels of that same internet, or maybe just his email in-box, another thirty-something playwright junkie (Let's call him B) takes the bait. This is how it is with junkies the world over. You're on! I get to collaborate with the [Some Cool Prize] winner? How could I say no to that offer? And just last night with my friend I was sharing how my prose writing has resurfaced but I need a little jolt for stage writing these days. I'd appreciate the "obligation." I propose the following elements for later consideration. Okay, I must get back to grading papers. If I may, I think that this should be included in the blog--the entire conversation beginning with your first. What do you think? Thanks for getting me going with this. Can I admit how nervous I am. Usually I only have myself to bother if I write myself into a wall, but now I'd be responsible for ANOTHER person's frustration. I'm going to try to focus on the positive now though. This could be a lot of fun and exactly what I needed. we're those playwriting hacks from the Internet! -------------------------------------------------------------------------------------------------------------------------------------The beach sounds fun...and I do have tenure... But no. I will write for: Stephanie-20s-a kleptomaniac-manic and bubbly. I think since we both had mirror and shoebox as props, we should use those two. Your job now is to write all of the place suggestions on slips of paper and blindly choose one. Also, you should choose the "word" that might come up. If you have ideas now you can enter them into the mix before choosing. And then... we're ready to roll. OMG! I'm freakin out. I just posted our first blog. Granted I'm not sure I did it right and I have no clue how we're both going to be able to edit it, but it's up. B freaks out. It's late and he's almost completely sedated from allergy medication, but his heart races and he freaks out nonetheless. He considers writing then and there, but he still hasn't quite gotten over the intimidation that rises with each thought of working with the winner of the [Some Cool Prize], the one who he witnessed take risk after risk during the PlayGround season, the one from whom he learned to push against the boundaries of form, space, and language...He freaked out. He closed his laptop. He flossed and brushed his teeth. (Even if he didn't, we'd say that he did for the sake of his fragile sense of his image.) He rubbed his cat's head and spoke to it (he swears he's not a cat person, but we all know only cat people talk to cats as if the pet is some old friend). He yawned. No, this was no time to step into the arena. He'd sleep and tomorrow he would dare take the next step. Thanks for getting that first post up. There's a footnote that reads "Posted by Clandy and Meavon." Did you create an account for that? If so how can I get that action so I don't post anything with my real name. Anonymity is of extreme importance, A! What will tomorrow bring, or tonight for that matter? I don't know about you, but I feel that maybe the implausible is brewing. Now wouldn't that be something? We're thrilled to announce the finalists of the third annual Young Playwrights Project, whose work will be presented May 19-21 during the Best of PlayGround Festival: Alona Bach (Act After Curtain); Rebecca Leiner and Madison Worthington (You Wanna Refill? 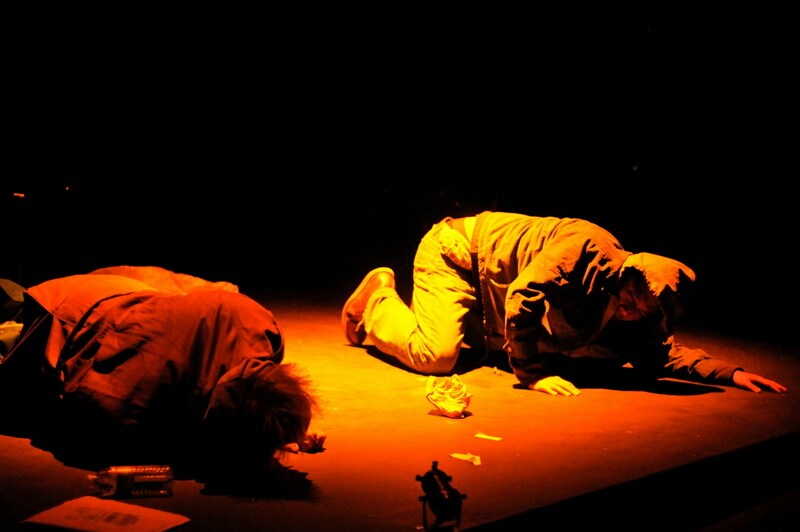 ); Pavla Berghen-Wolf (Secrets in a Backstage Box); and returning 2010 finalist Caety Klingman (Shakespeare in an Airport). Earlier this year, PlayGround announced a playwriting competition open to all Bay Area high school students. 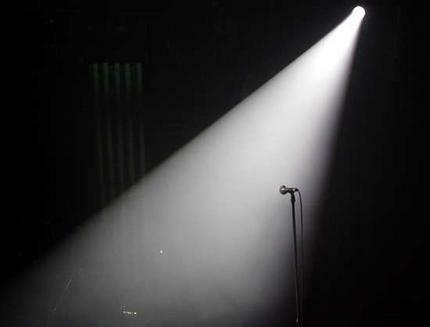 Contestants had to submit a new ten-minute play from the topic prompt “Vaudeville” by April 25th. “Through the Young Playwrights Project, PlayGround and Bay Area high schools partner to enable young writers to find their own expressive voice through the creation, development, and production of short plays,” stated PlayGround Artistic Director Jim Kleinmann. 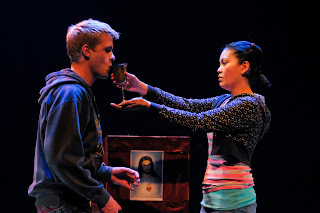 With a generous planning grant from the California Arts Council Artists-in-Schools program in 2007, PlayGround began taking its unique playwright development efforts into Bay Area high schools as part of the PlayGround Young Playwrights Project. This year marks the third year of the Bay Area-wide Young Playwrights Project Contest. “We are excited to open the PlayGround process and particularly the PlayGround Festival – our celebrated annual showcase for the Bay Area’s best new writers – to Bay Area high school students and look forward, in turn, to sharing their work with Bay Area audiences and theatre-makers,” added PlayGround Education Coordinator & Company Member Eric Fraisher Hayes. The Best of PlayGround Festival, a showcase of the Bay Area's best new writers and their work, runs May 5-29 at Thick House with performances Thursday-Saturday at 8pm and Sunday at 7pm. In addition, PlayGround presents staged readings of new full-length plays commissioned and developed by PlayGround. For more information, visit http://playground-sf.org/bestof.shtml. 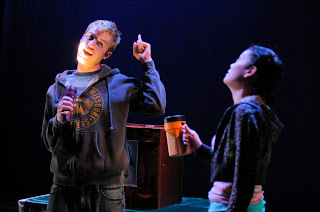 For tickets to the Festival and Young Playwrights Project performances, visit http://playground-sf.org/boxoffice.shtml. Alona Bach is a graduating senior at Berkeley High, and plans to take a gap year in the Bay Area to start a teen theater-going non-profit before heading East to Harvard. She is new to the world of playwriting but is an avid audience member, actor, and fan of PlayGround’s work. Pavla Berghen-Wolf is a sophomore at the Jewish Community High School of the Bay. When not juggling schoolwork, she takes dance and pilates classes at the ODC dance school. She has been tap dancing since age six. She also enjoys reading, sewing, creative writing and is on her school’s literary magazine board. Caety Klingman is a senior at Miramonte High School. Next year she will be attending the University of Chicago. She was a finalist of last year's Young Playwrights Project, and she has participated in the New Works playwriting program through Young Rep.
Rebecca Leiner is a senior at San Francisco School of the Arts and has studied acting and playwrighting for four years. Next year she will attend the University of Minnesota's Guthrie Theatre BFA Actor Training Program. She enjoys acting, clowning, reading and writing. Madison Worthington is a senior at San Francisco School of the Arts, where she has studied theatre for the past four years. Her interests include acting, playwriting, juggling, and aerial arts. This fall she will be attending UCLA as a B.A. 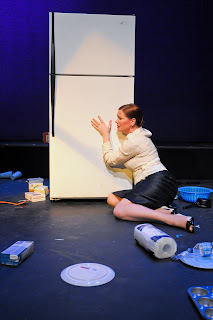 Theatre major with an acting specialization. PlayGround is the Bay Area’s leading playwright incubator. The mission of PlayGround is to support the development of significant new local voices for the theatre. More than just a play development program, PlayGround focuses on the creation of a true theatre community by nurturing the collaborative process between first-time or early development playwrights, and established professional actors and directors. With a particular focus on the ten-minute form and increasingly on new full-lengths through PlayGround’s commissioning programs, PlayGround creates a microcosm of the greater theatre scene, allowing for experimentation and risk-taking as well as the honing of style and technique. More information, including artist biographies, at http://www.playground-sf.org/. The Best of PlayGround Festival is PlayGround’s annual showcase of the best new plays by the best new writers. The festival features a four-week run of an evening-length program of six short plays and one short musical originally developed as part of the Monday Night PlayGround series at Berkeley Rep, with performances Thursday through Sunday evenings. In addition, the festival also features staged readings of seven new full-length plays commissioned and developed by PlayGround (see http://playground-sf.org/commissioning.shtml for the complete schedule) and readings of four high student short plays as part of the third annual Young Playwrights Project Contest (http://playground-sf.org/ypp.shtml). For more information, visit http://playground-sf.org/ypp.shtml. It started almost two years ago. In fact on June 3rd it will be exactly two years since playwright Adam Szymkowicz began interviewing his peers and featuring their interviews on his blog. To date he's interviewed 347 playwrights. I thought I'd point out this amazing resource and project since the latest interview featured Playground playwright Katie May. and yours truly was interviewed earlier this year (I'm #310). Check out this partial list (alpha) that Adam posted when he hit 300. And don't miss Adam's own interview (#100). *These were the Bay Area playwrights I recognized on the list, if you know of others who have also been interviewed, please feel free to make additions in the Comments. Update: Here's an updated list (alpha) of the interviews that Adam sent my way. It has 325 playwright interviews listed.